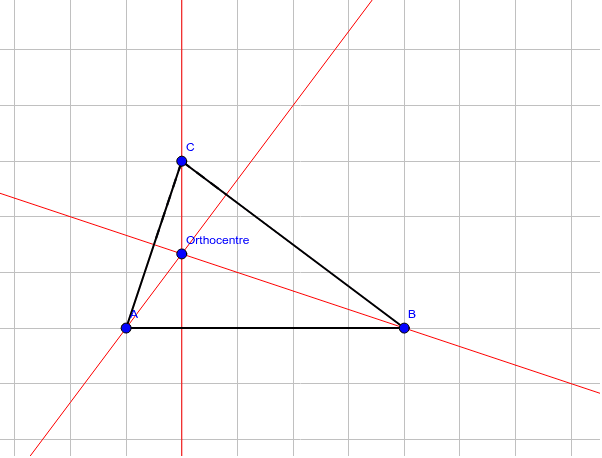 Orthocentre of a triangle by using the intersection of the altitudes. The altitudes are the red lines. You can move the vertices to see what happens. It is especially interesting to see what happens in an obtuse-angled triangle.